Epi-blading also known as Derma-planing is a gentle method of deeply exfoliating your skin. A surgical blade is worked over your face on a 45 degree angle removing dead skin cells and fine vellus facial hair or “Peach Fuzz” leaving the skin super smooth, fuzz free and rejuvenated. You will undergo a consultation with a skin practitioner prior to receiving epi-blading. This consultation will involve a skin health assessment and thorough discussion about the procedure and expected results. During this consultation take the opportunity to ask any questions you may have. Normally it is recommended to have treatments every four weeks. You will be able to discuss this with a professional during the consultation and discuss the post procedure care. Epi-blading is a skin rejuvenation treatment and may be used combined with other modalities to help combat the signs of premature ageing. Epi-blading may help transform tired and dull skin by gently exfoliating the dead surface cells from the skin. Also known as Derma-planing or epidermal levelling, this procedure is ideal for patients with sensitive skin and who are not suitable for other facial treatments, such as chemical skin peels. Epi-blading is a non-invasive procedure and a single use, sterile surgical blade is used to glide over and remove the outermost layer of the skin. This process is not painful and will cause minimal to no discomfort. Active finishing products will be applied for a beautiful result and to keep your skin calm, protected and hydrated. There is no downtime associated with epi-blading. This means that you are are free to leave the clinic when you are ready and return to your daily routine. While the skin may appear slightly pink, this will subside within a few hours of the procedure. Excessive sun exposure should be avoided for one week and sunscreen worn to protect the skin. Epi-blading can be used as part of an age management treatment plan. 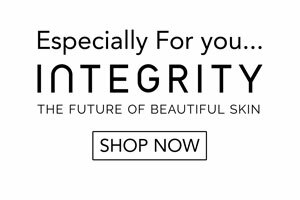 This means you may be recommended to have this treatment on its own or in conjunction with skin peels, DMK enzyme therapy, laser genesis or any other laser facial. Every patient will require a customised treatment plan to achieve their desired results. Many people have achieved youthful results with epi-blading this includes the removal of vellus facial hair and a brighter and refreshed complexion. In addition, the appearance of fine lines and wrinkles can be softened for a radiate look. Many patients are able to see an improvement in the texture and appearance of their skin in only one treatment. Ideal for: Anyone wanting an effective exfoliation, especially those with sensitive skin that cannot tolerate more intensive treatments. There’s no down time after an epi-blading session so you can wear skincare makeup and return to work or go out immediately afterwards (although you will need to avoid direct sun exposure for 5-10 days). 1. Epi-blading or Derma-planing is recommended for all skin types. Patients with sun damage, fine lines, very dry skin and dull skin are great candidates. However, since the procedure requires use of a sharp scalpel, those with inflamed acne should pass on it until their complexion clears up. 2. Contrary to what you might think, epi-blading or derma-planing will not make your hair grow back thicker or darker. Once your hair begins to grow back it might feel different because the hair was cut straight across, but it’s actually the same texture as before and grows at the same speed. It also just might seem thicker because the hair was bluntly cut by the razor versus having a natural point to it. 4. You’ll need to be very diligent with broad spectrum SPF afterward. You should always wear sun protection every day – especially when you’re outside for a prolonged period of time. Post-exfoliation your skin is especially susceptible to the sun so, if you don’t take sun protection seriously, you might want to skip this sloughing treatment. 5. You’ll notice a difference in your skin’s texture and tone immediately, so it’s worth it. 6. It’ll change your life as far as makeup application goes. Ever notice how peach fuzz tends to stand out even more underneath foundation and face powders? Well, since the epi-blade scalpel removes all the little vellus hairs on your face, your makeup will go on super smoothly. Your skincare products will also be more effective, since the product isn’t being blocked by dead skin cells and can penetrate the skin more effectively. 7. The results can last up to four weeks. The procedure removes three weeks of dead skin cells, so your glow will last all month long. However since your skin is constantly growing, you’ll need to schedule an appointment every month or so to maintain your results. 8. Don’t trust just anyone to perform the procedure. Only see a qualified skin practitioner to ensure the best and safest results. 9. Don’t try this at home. Since epi-blading is performed with single use surgical scalpels (not your average razor), you should leave it to the pros. If you’re interested in shaving your face, refer to this instead.